We have been counted amongst the most trusted names in this domain, engaged in providing Tin Electroplating Service. By understanding the demands of our patrons in the best possible way, we are increasingly engrossed in offering Tin Electroplating Service to our clients. Delivered in tune with the standards defined by the industry, these services are enormously in demand. Due to their cost effectiveness, these provided services are hugely treasured. We are a reliable manufacturer and supplier of high quality Tin Electroplating. These Tin Electroplating are designed by using supreme class base material, procured from the authentic vendor of the market along with leading technology according to international standards. Additionally, we offer these Tin Electroplating in different dimensions, lengths and sizes. We are rendering Tin Electroplating Service. These services are accomplished by expert’s team who has affluent industry proficiency and practice. To rendering this service in effective way, our experts employ the advanced techniques. Besides, we render this service at reasonable costs. Backed ourselves with sound amenities, we are readily betrothed in delivering highly exquisite Tin Electroplating Work Service. Imparted underneath the supervision of trained personnel these provided services are widely recommended and treasured amid our customers. Also, our ability to modify these as per our customers varying needs has earned us enormous appreciation in this nation. Unique technique that guarantees the most uniform electroplating. - Method tried and tested with large corporations such as Cooper, DLW, Indian Railways etc. - Electrochem is a 20 year old company specialising in tin and hard chrom electroplating. Matching up with the ever increasing requirements of the customers, our company provides Tin Electroplating. This Tin Electroplating is provided according to the requirements of the clients. Moreover, our service range is widely demanded in different electrical, aerospace and automobile industries. Tin is a soft white metal, easily polished and scratch-brushed. It is non- toxic and because it is relatively inert to the organic acids generally found in food-stuffs it is widely used for coating cans. Protection of non ferrous components against atmospheric corrosion, an aid to soft soldering, as a stop off prior to nitriding. Tin Electroplating is mostly used for imparting the properties of tin on other metal surfaces. Tin are slowly deposited on the surface of the other metal, hence the process is carried out in a electrolytic solution with a tin sticks. The properties of tin metal are also transferred to that metal surface. 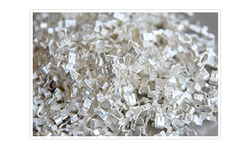 Tin electroplating is widely used in the electronics and chemical industries.